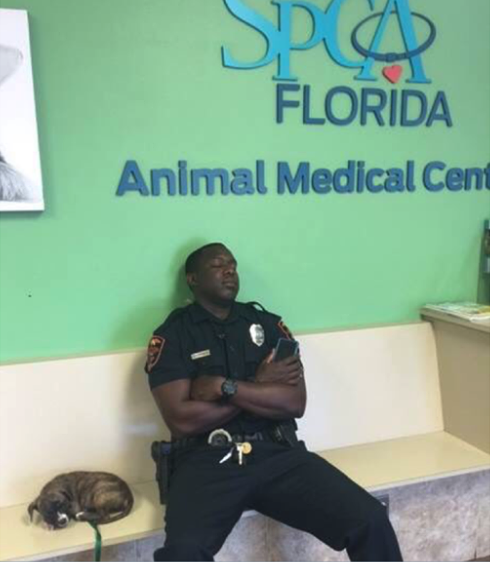 Officer Kareem Garibaldi was on duty in Lakeland, Florida, when a puppy ran out in front of his car. He was able to swerve and avoid the puppy, and he immediately pulled over to make sure she was still okay. He grabbed her and put her in his patrol car. The officer didn’t have to stay with the dog, but he did so from 8:45 in the morning until noon. The vet had other patients ahead of them, so the two took some naps together. 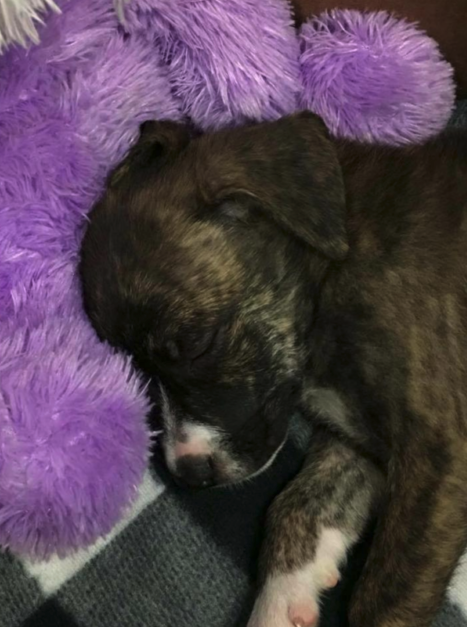 The puppy felt safe and secure with the cop who rescued her. What a heartwarming act by this officer to go above and beyond the call of duty to help a small, innocent puppy in need.